New data from the STAR experiment at Brookhaven National Laboratory’s Relativistic Heavy Ion Collider (RHIC) add detail, if not also complexity, to an intriguing puzzle that scientists have been seeking to solve: how the building blocks that make up a proton contribute to its spin. The results, published March 14 as a rapid communication in the journal Physical Review D, reveal definitively for the first time that different “flavors” of antiquarks contribute differently to the proton’s overall spin – and in a way that’s opposite to those flavors’ relative abundance. It’s not the first time that scientists’ view of proton spin has changed. 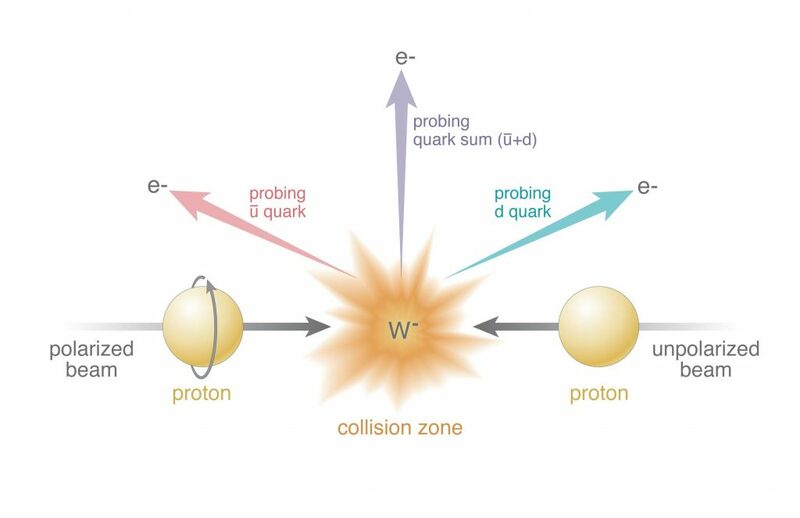 There was a full-blown spin crisis in the 1980s when an experiment at the European Center for Nuclear Research (CERN) revealed that the sum of quark and antiquark spins within a proton could account for, at best, a quarter of the overall spin. Gagliardi is a professor and associate head of the Department of Physics in Texas A&M University’s College of Science. STAR is an international collaboration of more than 500 physicists and engineers from 60 universities and national laboratories in the United States and 11 other countries. Texas A&M has been a STAR institution since 2000, and at present, there are nine Texas A&M Cyclotron Institute-affiliated physicists in STAR, including three faculty members. RHIC, a U.S. Department of Energy Office of Science user facility for nuclear physics research at Brookhaven, was built in part so scientists could measure the contributions of other components, including antiquarks and gluons. Antiquarks, which have only a fleeting existence, form as quark-antiquark pairs when gluons split.